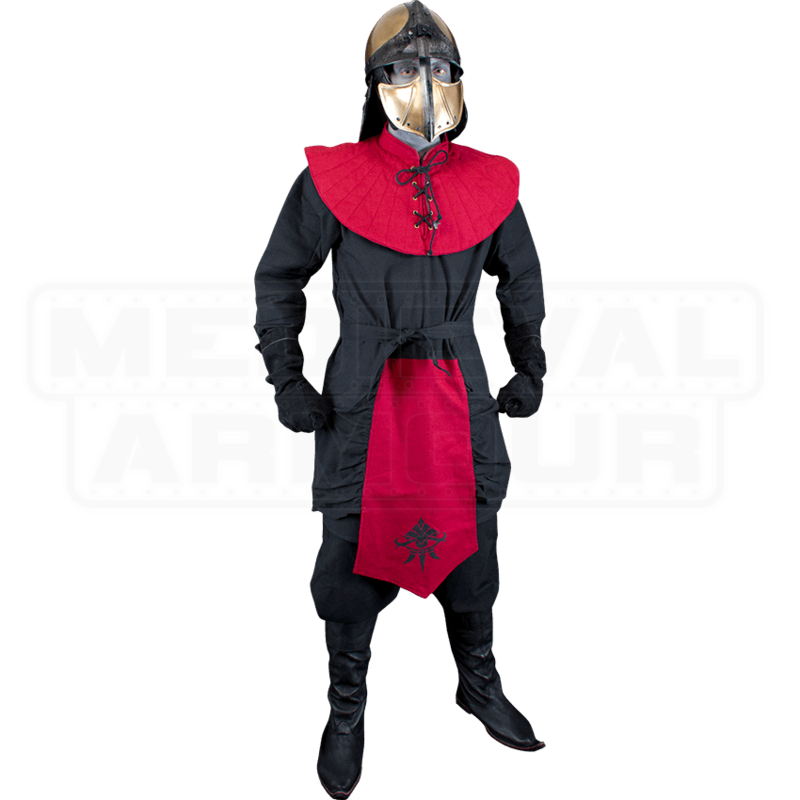 Start your warrior look off with the strong base pieces included in this excellent LARP armor package. 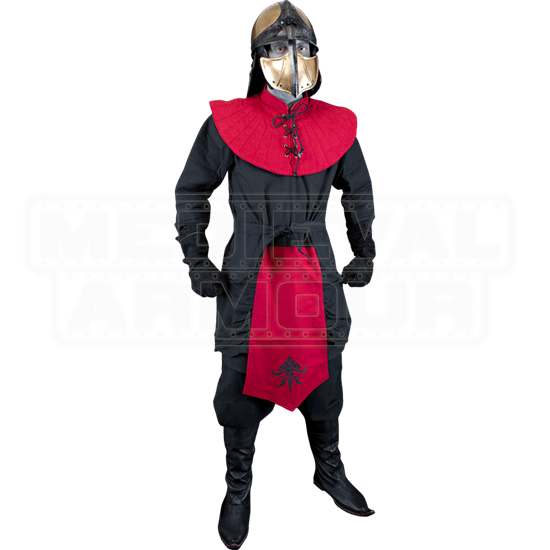 The Ratio Armour Package 1 includes a vibrant red and black tunic and helmet for an appearance that is stylish and functional. The helmet is made from 19 gauge galvanized mild steel with black and bronze finishes that give it a distinctive look. Top-grain leather fittings help to help to fasten pieces together. Ideal for Asian and Roman warriors, this armor set makes a great starter kit for new LARPers or a fresh style for those wanting something different to try. The Ratio Armour Package 1 is licensed ConQuest armour. ConQuest is the biggest LARP gathering in Europe.